WOSU Public Media is beginning construction of its new headquarters at the corner of East 14th Avenue and Pearl Alley just east of The Ohio State University campus. 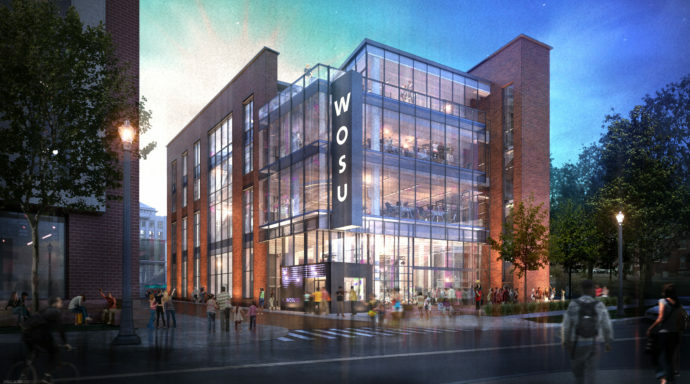 The planned $29 million WOSU headquarters – one of the crucial parts of Ohio State University’s 15+High project – is heading toward a final step this week. WOSU Public Media announced a $12 million campaign to support a brand new, state-of-the-art headquarters. I wonder how many people knew that WOSU is located in the basement at the Fawcett Center north of Ohio State’s campus. Anyone? Hello? 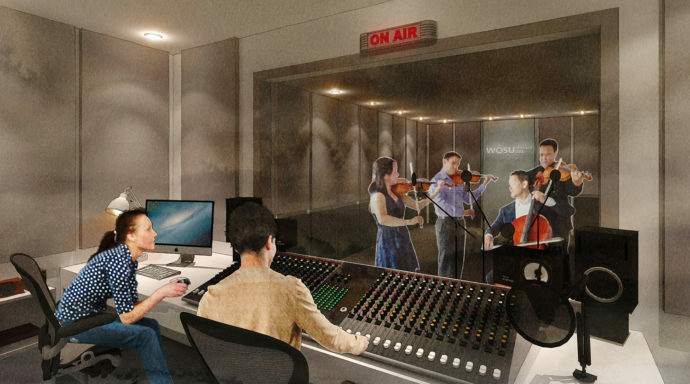 WOSU Public Media announced a $12 million capital campaign to support a modern, dynamic new headquarters. 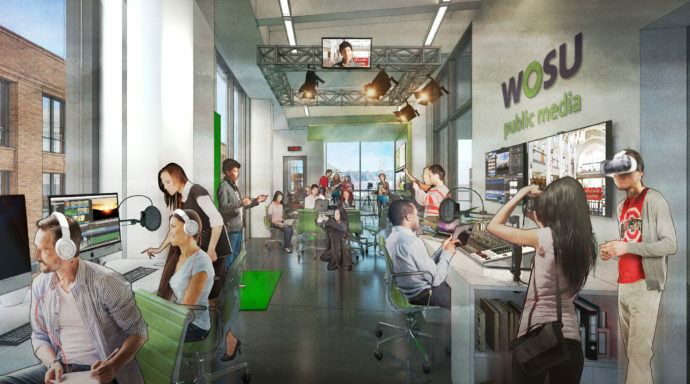 WOSU Public Media is undertaking a $12 million capital campaign to build its new headquarters at East 14th Avenue and Pearl Alley, part of the emerging 15th and High area adjacent to the Ohio State University campus. 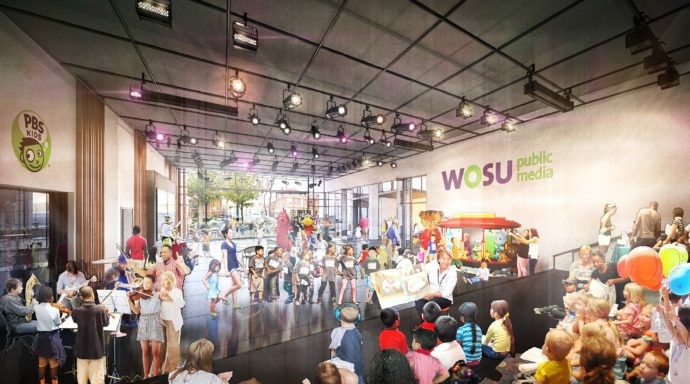 WOSU Public Media today unveiled the design of its new headquarters, which is planned for the northeast corner of East 14th Avenue and Pearl Alley. 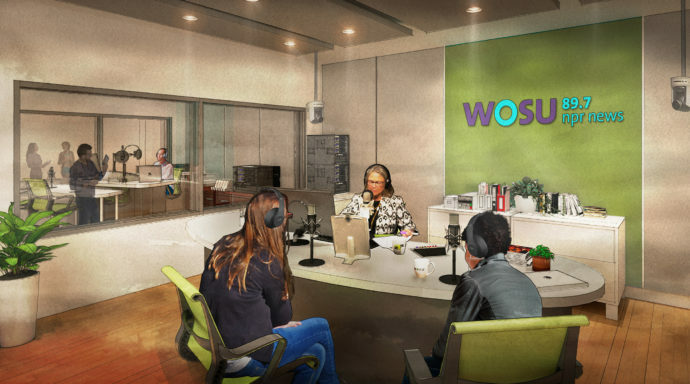 WOSU Public Media announced Thursday that it will launch a $12 million capital campaign to raise money for a new headquarters. 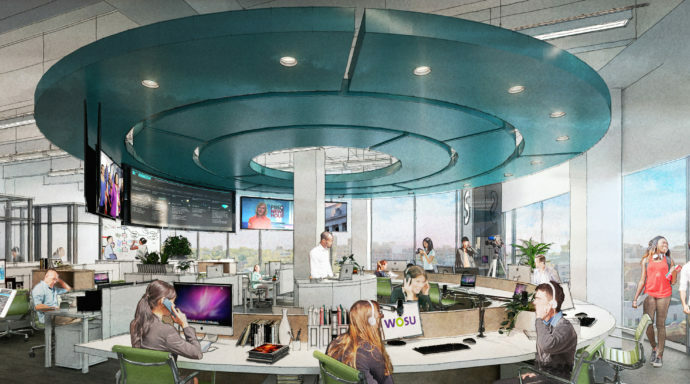 New WOSU headquarters to feature meeting space, studios, lab in glossy building on East 14th Avenue. Today, WOSU Public Media announced a $12 million capital campaign to support a modern, dynamic new headquarters. 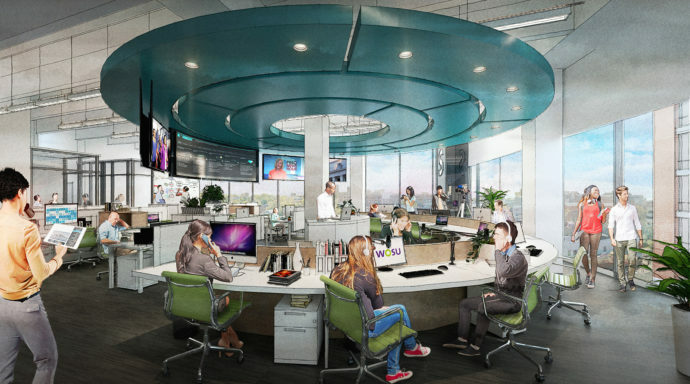 The facility will enable WOSU to grow and enhance its programming for the more than two million citizens it serves through television, radio, digital, and educational services. 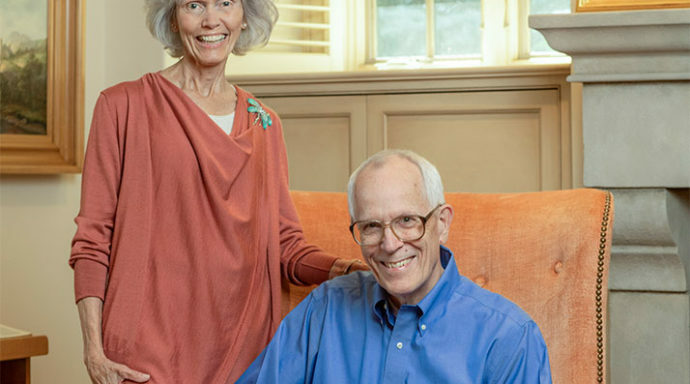 Local couple Sandy and Andy Ross have made a $5 million commitment to WOSU Public Media. 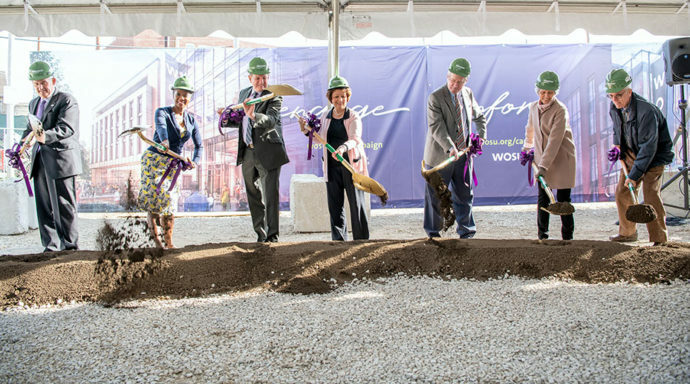 This transformative gift, the largest in WOSU’s history, lays the groundwork for WOSU’s plans for new headquarters in the 15th & High University District on the campus of The Ohio State University.